Please use the boxes below to configure your requirements. PrintBite – The Ultimate 3D Printing Surface offers perfect adhesion – No matter the Material! TPU, TPE, PLA, PETG, ABS, Nylon, PC, NinjaFlex, FilaFlex, PolyFlex, Woodlay, ASA, Taulman Range filaments and many others. 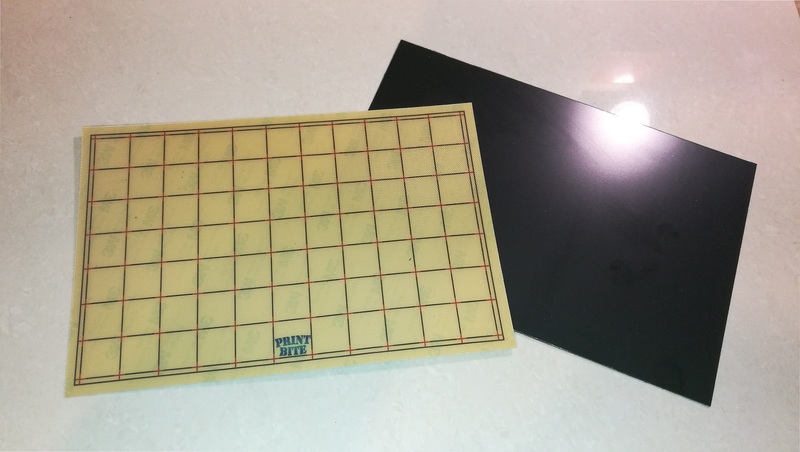 PrintBite is now available in BLACK or CLEAR colour, with Matte or Gloss finish, and is supplied with a high temperature adhesive backing. 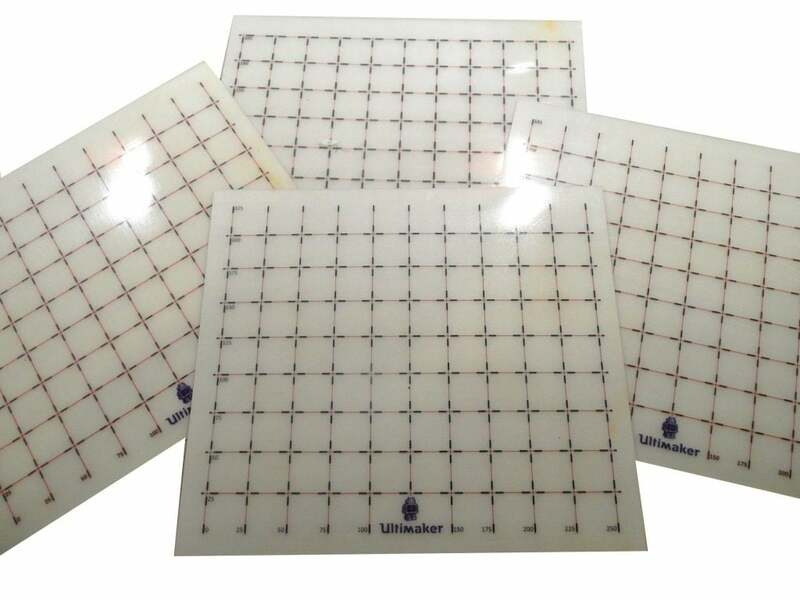 Clear PrintBite comes with a grid graphic applied or we can add your own custom graphic for you. These options will give your machine a nice professional customised finish. NOTE: Black PrintBite is supplied plain only. 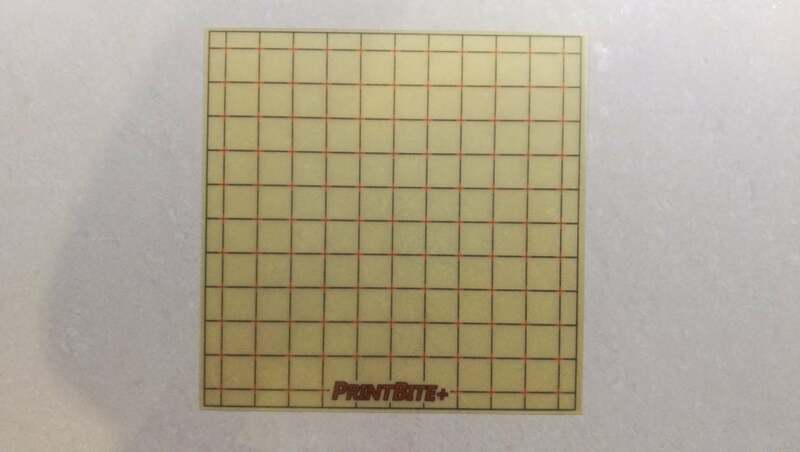 PrintBite+ has a thickness of 0.4mm making it suitable for use with all printers and all bed levelling sensing methods including PINDA IR Piezo Inductive. PrintBite is shipped wrapped in acid free tissue paper inside a board backed envelope, or cardboard sandwich in a post bag for the larger sizes. To keep costs and prices as low as possible we carry a range of standard sizes. If you require a size that is not listed, please select the nearest size that your required dimensions will fit into, and add a note when checking out. We will then cut to size at no charge. Note: If selecting Black, please select “plain” in the graphic drop down menu. Currently we are low on stock of gloss black PrintBite+. Please contact us first if you require gloss black. Thank you. PrintBite+ is the only 3D Printing Surface you will ever need! Offering great value with superior performance! The PrintBite+ surface is a premium 3D Printing Surface that offers the best value and performance available today in a 3D Printing Surface. With strong adhesion and self releasing features, you can throw away your gluestick and other bed surface preparation materials as they are no longer needed. Printing onto PrintBite+ is as easy as pressing “print”. Once your print has completed and the bed has cooled the parts will self release allowing you to remove them by simply picking them up. No more forcing parts off the buildplate or using scrapers. No risk of personal injury, or damage to even the most delicate prints. Best printing surface I have tryed. Its bond to the surface and after cooling its very easy to remove. I have bought Printbite+ for every printer I have owned over the past few years. It is unquestionably my favorite printing surface. It is especially great for PETG, which sticks very well while printing, yet releases easily when the bed cools. It also works well for Flexible materials – print with no bed heat and then peel off the print after its complete. Of course it also works perfectly for PLA and ABS. I do wish it was a bit cheaper, especially considering the shipping to the US, but I suppose it is priced fairly, since I continue to buy it for every printer 🙂 I have never needed to replace a sheet, so the price per life is actually quite low. Printbite+ essentially eliminates the benefit of a removable flex plate like on the Prusa MK3. I have this on my removable flexplate and I never need to remove it. Hi BenD188, thank you for the review, and great to hear your satisfaction with our product. This is a game changer. After cooling my prints just lift off the bed without needing to use any tools! No more struggling with spatulas or pliers. Heating the bed an extra 5-10 degrees is perfect. So far I’ve tested with PLA and PETG and had great results. This is a must have! I just received a PrintBite sheet for my Ender 3 and in spite of my skepticism it’s absolutely awesome. You must follow the instructions for applying it to your bed or glass panel, but once that’s done it will change the way you use your printer. Whereas I used to watch the printer until it was well into the print, now I simply press the print button and walk away. I have never had a print fail or lift off the bed since I bought the PrintBite sheet. In fact I am now so confident I print multiple copies and leave the printer run overnight, I would not have dared to do that before. Just a superb product. I got mine for the CR-10, so 300×300. Follow the instructions and you can’t go wrong. I’ve printed things as large as 200x180mm with full contact to the print bed across that area (i.e. bottom of a paints holder I wanted/needed) and once cooled I literally just pick it up off the bed. At the other end of things, I’ve printed the internal core for a Harry Potter wand which was only about 5mm diameter contact area but was about 100mm tall. When the bed cooled down it fell over – I guess from some minuscule breeze. Previously I used a buildtak-like surface and whilst they give great adhesion I’ve lost track of the number of damaged prints among other issues (it sticks just too well mostly). With this printbite I’ve got no marks/dents/gouges or stuck-on residue after a lot of prints already. It just prints and comes off easy afterwards. Certainly it’s more expensive than alternatives but truly the price is justified. I recently took the gamble on trying printbite, tired of abs slurry and glue sticks and the mess that goes with it not to mention that adding adhesives changes the accuracy of the bed level. So I applied it as per instructions and it’s freaking awesome does what it says which was a Pure delight as I print mainly with abs and this stuff sticks as good as any adhesives used. (or better) Definitely recommend it I will be purchasing a second sheet for my other Tevo Little Monster now I know it works. Matt surface gives a beautiful bottom layer. The effect is rely nice to see when you take the steel plate of the heated bed base plate and put it on a cold table-top first you can lift the part white plate but as soon as cold-down you only lift the printed part. You will find improved adhesion if you increase bed temp. Some nylons will require 100-120c indicated temp depending on efficiency of heatbed. Also dont neglect nozzle temp which is equally critical for adhesion. Might be worth increasing nozzle temp for the bottom layer aswell. Not much I can respond with, but to say Thank You for your review. Increase bed temp a little, might be just below adhesion temp, but I would also suggest a good wipe over with pure lab grade acetone. PLA is usually no problem unless too cold or surface contaminated. Also check print cooling strategy so its not 100% full on second layer, possibly cooling the bed too much, bring it on gradually over layers 3-10. Please email us directly for further support. For some reason, I can’t get PLA to stick to the Printbite. I’m printing on a 3DP1000 printer (1 meter by 1 meter bed). The PETG sticks fine but the PLA tends to peel up after about two layers, (on a 10 x 16 inch base print) and then it gets snagged by the nozzle and is turned into a half flipped pancake. I’ve cleaned the Printbite with a VERY mild soapy water solution – still no sticking with the PLA. I was printing the PLA with a 220 degree nozzle and a 60 degree bed. Any ideas? Hi there yes we can. Please contact us directly by email or contact form and we can arrange this for you. Can you make a 345×520 sheet? I would like this for my Stacker S4 machine, I have 2, but I know other people would like them. that I would ever get the product. I ordered around Thanksgiving and after a few delays I finally received it. Thank you for the extra gift for my troubles. Now I installed the smooth surface and installation was trouble free. A quick cleaning with acetone ( used JASCO Acetone (MDS says 100% pure) started printing. now after 2 months of using it I am thrilled. Prints are smooth as silk on the bottom, filament ( PLA and PETG ) sticks great when being printed on 50*C bed. I still get a kick when the bed goes below 30*C, the prints lift right off. No more putty knife, vise grips, struggling to remove the print. Bottom Line, I love it. Great investment. Excellent thank you for the great comment. Glad to hear you like it. BTW loving those AWESOME puzzles. Hi Yes Nylon will adhere to PrintBite, depending on the brand, 100-120c will be required. Yes you can also adhere PrintBite to Aluminium sheet or cast tooling plate, but please ensure if using ali sheet, that it is perfectly flat. Undoubtedly the best print surface I have found in 7 years of 3D printing. It’s the first thing I fit on all my printers. I would like to know if nylon adheres on the printbite? Can we stick the printbite on a sheet of aluminum? Being new to 3D printing I was looking for a surface to print on because I was coming to the end of the tape supplied with the printer. Printbite had the highest recommendations that I could see so I decided to go with that. Installation is a bit time consuming but the end result is worth it. I have had no problems with it at all. Prints come off easily even ones with a large footprint are easy to remove and found that with most of the smaller pieces I have made they can be removed before the bed is cool just by prying with a fingernail if I’m in a rush. So far I have only printed with PLA, I love the finish that this leaves on the bottom of the print (black PLA looks like carbon fibre) and I have not had any prints coming loose or warping during printing even when my first layer height was a little off. With the life expectancy of the surface being so long then I’m sure that it should be a lot cheaper than buying Kapton or blue painters tape in the long run and a lot less hassle too. Even though I have limited experience I would highly recommend it. I only installed the surface a few days ago, but I’m quite impressed. Installation was a bit of a pain because my bed heater is a little underpowered (this is on an Anet A8). I had to essentially wrap the bed in a couple of inches of folded t-shirts on top of the damp cloth (another t-shirt) and even so I only managed 100C, but I ran the two heat cycles and it doesn’t seem to have affected the performance of the product. After I installed I printed a Benchy just for kicks and it released very easily after the bed cooled. Then was the acid test – I’d been wanting to print https://www.thingiverse.com/thing:1296478 for a while, but I knew that it was going to be a nightmare to get off my blue-tape covered bed so I put it off until I received the PrintBite. After a 15 hour print completed and the bed cooled down the part released as if it had never been stuck to the bed. Lovely! Since then I’ve printed out a few more parts and it has worked flawlessly, except for once when I tried cleaning the bed with a shop paper towel (the blue ones) and Windex window cleaner instead of a kitchen paper towel and lab grade acetone. That time there was no adhesion at all and I stopped the print before the first layer was down. A clean with acetone and restarting the print produced flawless results. Maybe US Windex is a different formulation from UK Windex? No matter, I’ll just use the acetone from here on out. So I’m very happy with PrintBite+, at least with the 3D Solutech PLA that I use. I now feel confident to start experimenting with PETG and hope it will work just as well with that filament. Contact directly providing a *jpg *png or vector format image file scaled to x2 intended size. This allows the image to be scaled down instead of up, avoiding any pixelation or deterioration of the image quality. This can be set into a corner, or over-layed onto the grid graphic. how do i get a custom image on it? and or the graph? Glad you like it. Yes PrintBite is to avoid forcing prints off the build plate by hand or with tools such as a scraper. Prevent damage and injury. Using scraper on well adhered part could be asking for… 🙂 Allow to cool and just pick up, only a cpl extra mins. Really good printing surface. Adhesion is perfect, you sometimes need to increase the heat by about 10C, but it doesn’t cause any elephant footing, and the finish on the bottom surface is really good. It is a semi-reflective (but not as much as glass surfaces, which is good) smooth finish. My only complaint will be that it is relatively easy to damage. You need to make sure it cooled down by quite a bit, and not use any tools (as they damage the surface) to remove your 3d print. But this is a minor complaint, considering that the manual tells you to wait until it cools down. The only reason I damaged mine is because I was an impatient idiot. PrintBite works perfectly with contact probes including piezo using a heated hotend to touch the surface. This will not cause any damage to the PrintBite surface. Yes, please contact us directly for this size. Yes PrintBite will allow this. Choice of filament is also important. 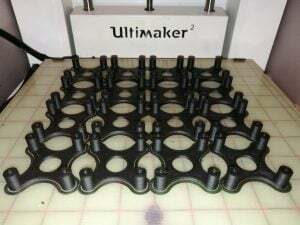 The best performers we have foind for ABS are either ABS-X from 3dfilaprint.com in the UK or FormFutura’s Tritan-X which is available from several outlets. With these ABS blends a built temp of 90c provides excellent adhesion, using a nozzle temp of 240 on bottom layer, and 225 subsequent layers. Other ABS brands will require higher temps. Surface texture does not affext performance. Both as as smooth as each other. The Gloss version leaves a nice shiny gloss finish on the base of the print, whereas the Matte version leaves a surface finish akin to PEI. Both perform the same. Does Surface Texture effect adhesion? Does it effect surface quality of print? I am talking about the Gloss or Matt finish choice. I first heard about PrintBite on the Maker’s Muse YouTube channel (thanks for the recommendation, Angus!). I tried several print surfaces before, including the original BuildTak and its knock-offs, and I wasn’t particularly impressed; on the contrary. PrintBite is different. – With correct settings, adhesion is perfect, haven’t had any warping issues or prints coming loose. – It leaves a beautiful, glossy bottom finish, no need for a raft or additional sanding. – It is much more resistant to heat damage from the nozzle accidentally touching it than other surfaces. My nozzle accidentally pressed against it during the initial leveling, but the damage is barely noticeable. 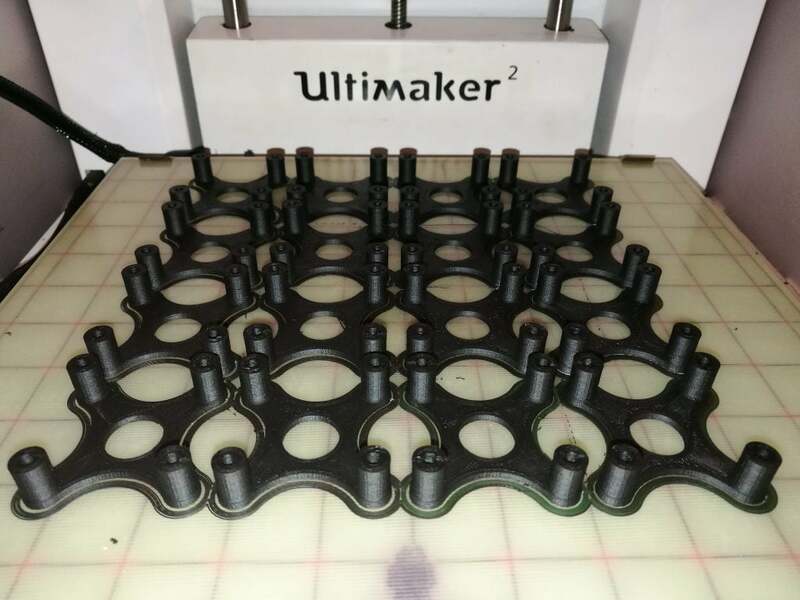 All in all, I am completely satisfied with the quality of this surface, I definitely recommend this, in fact, when I purchase my next printer (Tevo Little Monster), I will immediately upgrade the bed surface to PrintBite. – MAKE SURE that you follow the instructions given on the site when applying it. 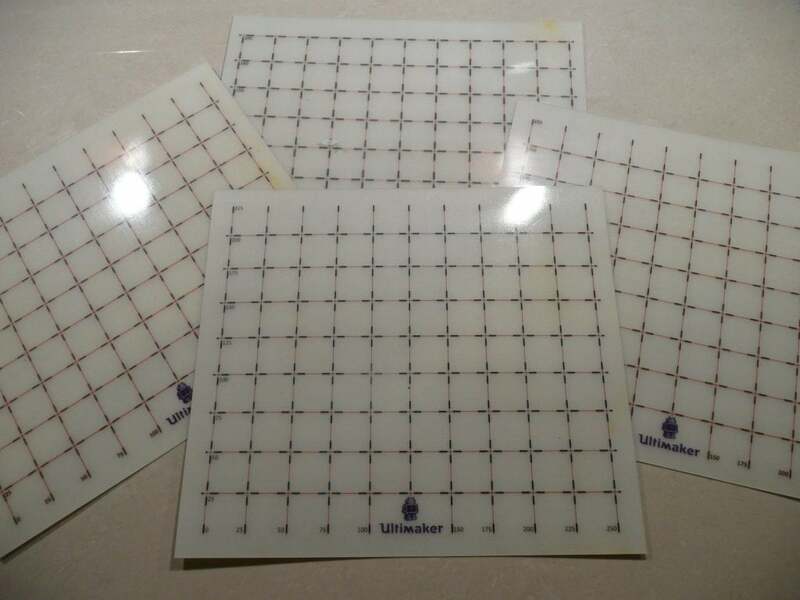 This is not a sticker like BuildTak, it is a semi-rigid sheet, and you must take good care when applying it, so that it adheres perfectly to your bed. It is a tiny bit tedious, but it is well worth it. I went through about 4-5 heating and cooling cycles (the instructions weren’t clear on how many cycles you need), and it stuck to my bed well. – The instructions are a little too cautious about nozzle height, as far as I’ve seen. I tend to level my bed with a piece of regular printer paper for a spacer and it works out just fine. As Angus pointed out in his Maker’s Muse video, the nozzle can almost ride against the surface (don’t let it touch though, that will ruin the surface in the long run), and that guarantees great surface adhesion. 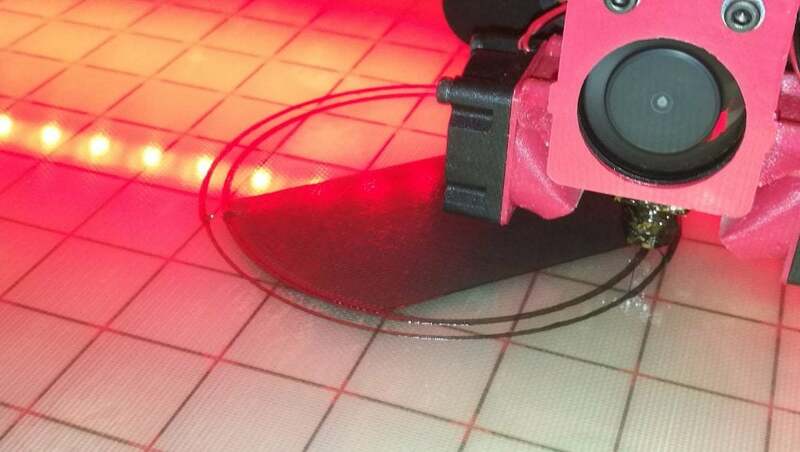 – Make a small 1-2 layer brim when printing on cheaper machines so that the nozzle can pump the plastic out at full capacity by the time it gets to the actual part. SOME MACHINES may produce a dotted line at the beginning of the print, I initially thought my nozzle was too close, but in fact I just had to let the extruder work for a bit. – Do not be impatient once your print finishes. Wait for it to cool completely, as it WILL self-release. If your print fails and you wish to restart immediately, you MAY need a spatula to get the failed material off your bed. Try to be gentle though, make sure you DO NOT scratch the surface in the event that you have to use a spatula. – I have found that periodically wiping your surface with a cloth lightly soaked with acetone (clean, lab quality acetone, NOT nail polish remover) will remove all unwanted residue and generally help with adhesion. 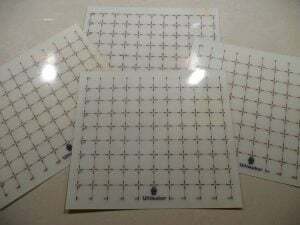 I’ve tried this surface when Jason first offered it on the RepRap forum. 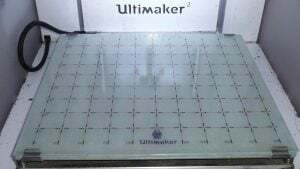 I already bought 2 of this printing surface for my printers, and before when i printed with pet-g i needed an hammer to release the printed product, now i just need to wait to the bed cold down and is very easy to release it. I had all kinds of problems getting prints off of my TEVO Tarantula i3, a friend told me about printbite and I still can’t believe that I can just walk over and pick up my print after it cools. PrintBite blew my mind and as an added bonus my prints are all SUPER smooth on the bottom with printbite. Also wanted to mention they aren’t kidding when they say this stuff is DURABLE, my Z-stop broke and I started a print without know it had broken so it started printing with the full force of my z-motor jamming the hot-end into the printbite. I immediately stopped it but not before it had dragged the hot-end a good 10cm across the printbite. I was horrified, but when I lifted the Z-axis up there wasn’t much more than a light scratch in the printbite! Printbite is amazing, worth every penny and the wait for it to arrive. Plus the glossy black looks just plain awesome! Glad to hear you like it, thank you for the positive review. Really very high-quality surface. It’s very easy to set up. Printed PLA and PETG – perfectly adheres. Do not try to unstick the hot, wait until it cools down and your model bounces itself. Increased the temperature of hotbed and extruder for the first layer as in the instructions and slightly reduced the speed for the first layer – everything is great! Unfortunately at this time we cannot cut 650mm diamter rounds, however if you purchase a 700mm square sheet and appl it to the surface, you will then be able to trim the excess with an exacto knife or string scissors, using the buildplate perimeter as your cutting guide. Please contact us durectly info AT flex3drive.com for more details. PrintBite is very tough, and will have no problem with touch probes or a heated hotend making contact with it. 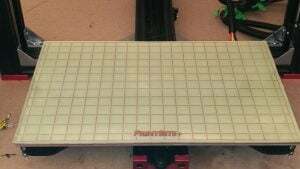 I’m looking for a surface for my 3d printer that will allow me to print ABS parts as large as the buildplate of my 3d printer (about 200×200 mm). 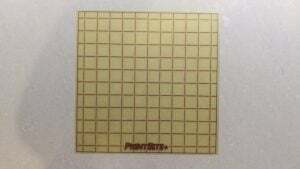 I have an heatbed capable of reaching about 115°C, will printbite work with my 3d printer? Is it possible to have printbite with a diameter of 650 mm? cost? I got a printer, where autoleveling is done by tipping the nozzle on the printbed surface. To get accurate results the hotend should be heated up. Will the printbite surface get damaged by a 235 degress hotend? I have tried some print surfaces . The printbite is unique . Just take the the bed on the temp it should be ( 115-120 in my case ) and the part would stick like a welded metal. Once it is cooled down then it pops out. I am very satisfied and at this moment my two printers works with printbite. I will buy again for my third printer . I am so happy no warping exists. Printing PLA on a 60°C bed with no problems. Well i thought i would try the PrintBite+ surface. I have been using it for quite a while now and i am very impressed. I went for the 300×300 matt surface. I am printing on a 60 deg bed, the print sticks very very well even with tiny surface area, no random lifting at the corners. When the bed is room temperature the print just lifts off with ease. The surface is really tough, no gouging or scratches, some times i lift the print early as i cant wait for it to cool with a scraper and no problem at all. I like the idea there are no glues, tape or additives that you have to renew. The surface has not been removed since it went on the bed so no disturbance to the leveling. I give it a wipe over with a damp cloth now and again mainly for dust. It comes with a self adhesive back which i stuck to a mirror tile carefully slowly with no air bubbles. I also put scrap leather protectors in the clips to prevent damage above and below. Overall i thinks its worth the investment. It doesnt solve any leveling issues, so if you cant stick to glass or glass with glue stick than you wont stick to this either, its a bit pricy but for me the reduced hassle and not removing the surface so well worth it. I must admit that my first impressions of PrintBite were mixed to say the least. It turned out that this was completely my own fault. I was not using it correctly. After some very useful support from Jason I worked out the error of my ways. Now I cannot be happier. My prints no longer fail and, once the sheet has cooled, I can literally pick them off of the bed. No more attacking the prints with tools to remove them. As long as you follow the instructions and don’t do as I did then this product just works no matter what material you print with. I have been raving about this on our Facebook Prusa MK2 group where I am a mod. And several people have ordered and more are showing interest. I like the way the black looks! For months I’ve been looking for an alternative to PEI. At times I can’t remove my prints very easily, so frustrating. I looked at Filaprint but the cost was way too high for 1 sheet! I stumbled across Printbite months ago but they didn’t have an option for the Prusa MK2. So I waited… And sure enough they now offer it. I order two sheets one for each of my two Prusa MK2 printers. I couldn’t be happier! I print a lot of ABS and now print anything with the ease of just lifting prints right off the bed effortlessly. How did I manage without this. Great product indeed. Customer for life. Both surface finishes have the same excellent performance. Thank you for your kid and positive feedback, we are most pleased to hear this and thank you for the additional recommendations. Thank you for your comment. If the size you require is not listed, please select the size option within which your required size will fit, and then add a note with your order requesting it to be trimmed down. For the Lulzbot Taz (1 thru 6) we understand these are 300×300 sized beds with a slightly reduced printable area within this. Therefore the 300×300 PrintBite+ size would be your ideal choice for any of the Lulzbot Taz (1 thru 6) printers. The Lulzbot Taz5 has a print bed size of 298mm x 275mm I see you have an option for 280mm x220mm. Any plans for the future to accomodate more closely to the TAZ line? Does it exactly what it’s described to do… Have patience when heating the bed and allow it to come to full temperature before you start to print. I’m mostly running PLA, and with the bed set to 60 it adheres brilliantly. Would not hesitate in recommending this product – it removes one large headache 3D printers suffer from. 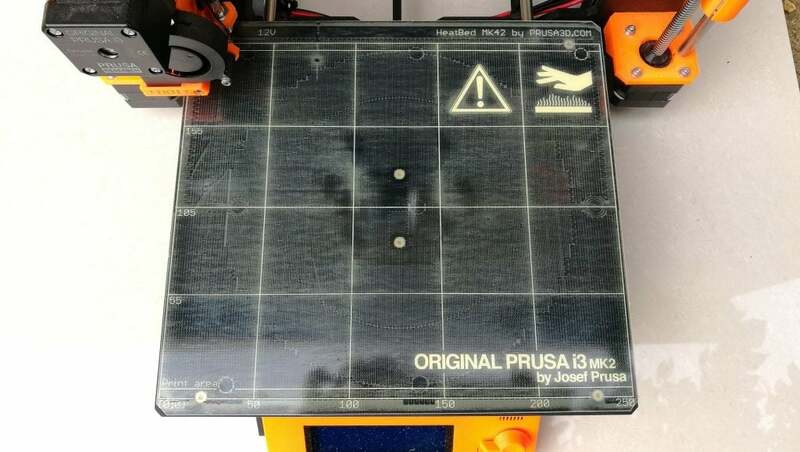 Recently bought the new version for my Prusa I3 MK2 since the PEI sheets get damaged very easily and PETG is very hard to remove. Have been using Printbite on my Makergear M2 for over a year applied to Borosilicat, best surface for PETG and Colorfabb NGEN, HT, XT. Prints simple pop off the surface after cooling down. I also recommended it to some people I know and everyone is very pleased with the results. All in all, I will never print without printbite again! Great to hear, thank you. Thank you for the great feedback. PrintBite certainly does make the whole process a lot easier with less risk of injury and damage from trying to release a finished print. Thank you for the great review. Very pleased to hear how much it helps. Back in stock, sorry about the outage. I originally used the OEM surface on my printer and it worked “okay” but it didn’t last very long, I am joined to forums so I asked around and someone said upgrade to glass and use glue sticks. That worked better, but was rather messy and left and unfortunately residue on the printed product. Then someone introduced me to PrintBite and I am amazed. There is no BS – make sure you follow the instructions, I use acetone to clean it and it never wears out. I have bought 4 for the same printer, one was because my printer malfunctioned and the glass bed smashed on the floor and I wasn’t about to pick the shards of glass off of the surface. But when it heats up the filament sticks to it and if you wait for the bed AND the material to cool down it “unlatches”. Great product. Will be buying a PrintBite for my new printer, waiting for it to be in stock. Great product! Hello! It’s out of stock (all sizes) for more then one week. When it’ll be available for purchase? Thank you in advance! Starting out with 3D printing I had to go through the regular pain that is surface adhesion and than getting the print of the print plate. Going from tape, to glass, to glue stick and even hairspray to get things sticking. And than getting it off the plate once it’s done. Knifes, spatula’s, brute force … damaging the build surface again and again … the horror. But than someone told me about PrintBite. I installed mine and my life (3D printing life that is) got so much better 🙂 Heating above 50 Celsius gave the perfect adhesion and calling the build surface under that 50 Celsius just let the printed part self release from the plate. It was like someone just put it there to pick up 🙂 This is why I use it on all my 3D printers. Found tip of this product online. Use it for my Wanhao Duplicator i3 v2.1. What size would you recommend for an Anet A8 Print Bed? The Printsurface is 220x220mm. People say with screw holes in mind that 210x210mm is the realistic Print capacity. I’m extremely impressed ith PrintBite. It it works exactly as advertised. When the print bed cools your print literally just lets go of the surface completely. No muss, no fuss, no more blue tape, no more glue stick. A quick spritz with Windex and you’re ready to rock and roll again. I had an adhesion problem with my first print but when I reviewed the instructions and cleaned the bed it worked perfectly. I just recently installed my Printbite surface, after letting it sit around for 2 weeks. I honestly don’t know what I was thinking… every print I made in the last 2 weeks could have been better (or at least easier). I went from printing on Blue painters on an aluminum hotbed, then tried some Polymide tape (which was a bit better)… then I finally installed a sheet of PEI I had laying around for almost 2 months. I couldn’t believe the difference the PEI made… there was no comparison between it and the painters and Polymide tapes. Now, I received my Printbite just a week or two after installing the PEI… and the PEI was going so well, and seeing how it sat around for 2 months and had only been used for a week or two, I felt like it was wrong to just move on to the Printbite… even though I was quite anxious to do so. About two weeks later, after melting the shape of a first layer of a print into my PEI, I decided it was time to go with the Printbite. Ironically, one of my major issues with the PEI, was getting things off of it after they were done printing… also, another issue I didn’t realize I had (well, I knew I had the issue, I just thought there was no way around it)… I was still having a decent amount of trouble getting consistently good first layers (and as we all know, with the first layer being right your 75% in the clear… with the exception of certain complex model). So I’ve only been using the Printbite for a couple of weeks, but I couldn’t be happier. If this stuff is as durable as they claim (and I have seen nothing to contradict that), I honestly couldn’t be happier with a print surface. My first layers are going down cleaner than ever on the first try, and my prints stick extremely well while printing… but come right off once the bed cools down… truly amazing. One thing worth mentioning, so far I have only printed PLA…. but I will soon be printing some PETG, Nylon, among some other filaments…. hoping they go as well as the PLA has been. I am also in the process of building a new 3d printer (my i3 clone was great for the price and a good starting point, but it’s time to move on)… it goes without saying, I will be ordering another sheet of Printbite in the very near future. Hi Mark, yes you can, but please be sure to have good bed level or auto bed levelling to overcome any uneveness that may exist in the ali heatbed, to be safe. Can I apply this to an aluminium heat bed that has some type of coating with the company logo? The printer is a Tevo Tarantulum. Made really good. 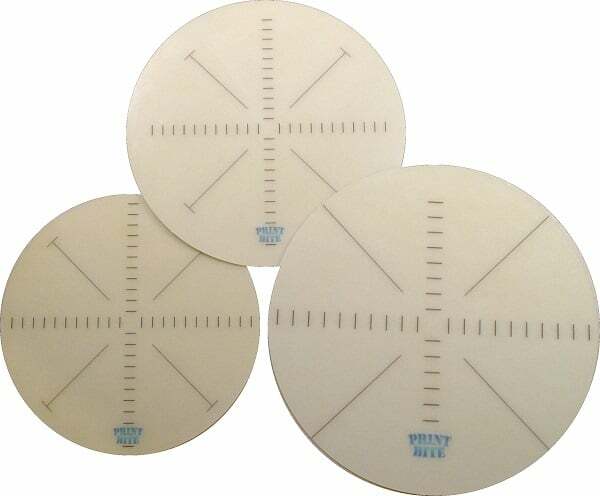 Excellent adhesion characteristics with different materials including ABS and rubber. Great for PLA. Only when the plate has cooled the piece slips away alone without any resistance … it seems magical, indeed it is magically amazing. Well-described laying instructions. Great relationship with the seller fast and very helpful. Thanks for your experience I found an excellent substitute for various lacquers / tape / tape. Prodotto realmente bene. Ottime caratteristiche di adesione con differenti materiali tra qui ABS e gomma. Ottimo per PLA. Solamente quando il piatto si è raffreddato il pezzo scivola via solo senza nessuna resistenza …. sembra magico, anzi è magicamente stupendo.Instructions of well-depicted pose. Ottimo rapporto con il venditore veloce e molto disponibile. Grazie per la tua esperienza ho trovato un ottimo sostituto a varie lacche / colle / nastro. This stuff is great! I had seen the videos of prints releasing from it, but actually using it is something else. I could literally blow the prints off the bed once it cools. And PETG is just magic with it. With the included BuildTak(ish) material on my Maker Select Plus, PETG would rip it shreds every time coming off. With PrintBite, I just pick it up. It’s pretty amazing. The only thing I still have any trouble with is TPU. It adheres great, but it doesn’t release like other materials. It’s more like PLA on BuildTak. You have to give it a little help, but it still comes up better than it would otherwise. I’ll be buying a second printer soon and PrintBite will definitely be ordered at the same time. Sorry to hear of your troubles, unfortunately the situation you described is more engraving than a nozzle crash. Get in touch and we will remedy for you. I had seen PrintBite mentioned a few places, so after looking at a few videos too I thought I would try it out myself. 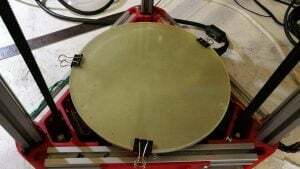 I installed it on a borosilicate glass plate (had to trim it a little bit, my bad that I didn’t get the guys at Flex3Drive to do it for me), the application went smoothly and then I went through the heat cycling. Did a quick test print with PLA (small contact area, but larger area on the model further up). Worked perfectly. Then I did a much larger test, 21 models covering almost all of the bed. Again the PrintBite worked perfectly! Very happy with my purchase. Will try ABS and PETG soon too. I’ve attached a video showing my tests. I got this surface hoping it will be resistant to nozzle crashes, it isn’t. So I kind of have a ghost of my first print on all my other prints. Other than that one error on my part a truly magic surface. We advise against buying a large sheet and cutting into smaller pieces as there is a significant risk of injury when trying to cut with light hand tools as it is a very tough material. Additionally it is very likely that the adhesive backing will become damaged causing the PrintBite surface to become uneven once applied. If you require a custom size we are happy to cut to your requirements. When we cut to size, we do this before applying the adhesive backing. We also offer discount for volume and multiple buys. PrintBite is not detected or sensed by inductive sensors. We reccomend applying PrintBite to mirror glass as this tends to be consistently flat irrespective of supplier. If you use an aluminium heat spreader this can be detected underneath. Otherwise you can apply PrintBite directly to aluminium tooling plate or a good quality aluminium heatbed. One must however ensure the heatbed remains flat when heated. So can I get a big sheet and cut it into pieces? Having used a number of materials on my printed from painters tape to ABS slurry, this print surface has amazed me by how simple it is. Using a heated bed it is simple to get anything to stick to this surface – and it sticks solid meaning far less warping. The amazing thing is then by letting the printed cool down you can literally just pick the print off the surface. No chisels, no scrapers, just lift it off. On first view these may look expensive, but once you use them you would happily pay that amount. This is literally some of the best bed surface material I have ever used, no more messing with abs juice, kapton tapes, painters tapes, hair spray, or pei. Ive tried all of them and nothing has compared to PrintBite. I have been using the stuff now for over a year and this stuff just doesnt seem to degrade at all either. My one sheet has even been pushed up to 140c and had peek printed onto it at 420c and it left no noticeable damage and other plastics continue to adhere just as they always have. I am incredibly impressed with the quality of the product. I was using painters tape (for PLA) and inevitably if I made a “delicate” piece it would break in the removal process. Now if just pops off the surface. Coupled with some great advice from Jason for improving the quality of the first layer I am now much happier with my printer than I was before. Whilst it might appear a tad expensive it quickly proves its value in reduced frustration and reduced waste through breakage in the removal process. Yes Marco, once you have used it a couple times and got your process and printer dialled in to using PrintBite, it Rocks! Great informative review, thank you. Yes Justin, so long as the instructions are followed and the surface is cared for properly it will last and last. You can also consider using a detached brim – a multi line skirt with a distance to object set around 0.5 – 1mm. This will insulate the bed and keep heat in, and deflect and print cooling fan breeze, but will not be attached to the part when the print is finished. Yea waiting for cooldown can be a pain, but if you consider hours wasted on a failed print, that extra couple of minutes is worth it for the finish you can get. Thanks for the great review. We put a lot of work into developing and creating this product, especially for its self release properties. Awesome! Glad you like it. We do our best. Yes we think so aswell. Thank you for the great comment. Hi nidrachaal thank you for your great review. We think it is a very effective product aswell. If you require quantity numbers please do contact us with your requirements and we will be happy to help. There’s absolutly no doubt this is the answer for all who’ve been though the motions of using painters’ tape, slurry, glue sticks, hair spray and whatever. I’ve used them all, nothing comes close to Print Bite’s “no hassle, just works” approach. Even stuff like normal ABS and pretty high infill prints with very large footprints, a recipe for warp disasters ? Printbite can do it, without any help. Just allow the printbed to reach a high temperature (I had to push to 120°) and print the first couple of layers at a slightly lower speed and temp and I get perfect results at each run. I have a couple of very large delta printers, build spaces of 300mm diameter and more, and even with perfectly leveled beds (not that hard to do on Delta machines as the bed is stationnary) and fully callibrated Delta settings, huge footprint jobs using ABS would still warp somewhat in spite of all the tricks and procautions I threw at it. I’m now on my 8th huge 200+ hours print job, and I get fully flat first layers,without warp or whatever. There’s just one “but”. Having several big printers, I would like to upgrade them all with this stuff but in all honesty, it’s not really cheap stuff and ordering this for all machines would be a serious investment. Some kind of discount for multiple orders would certainly cause me to upgrade every machine at my disposal to PrintBite surfaces. PrintBite should be STANDARD on ALL 3D Printers. Period. This stuff is AMAZING! I was printing on masking tape, which worked really well, but every time I had to pull a print off I had to scrape it and knock it and fudge up my tape so I was constantly re-applying tape. As soon as I heard about this PRINTBITE I picked it up, as soon as it arrived in the mail I stuck it on and fired off a print, it worked wonderfully! I later read the instructions (Heat cycles with a damp cloth for 1 hour 2 times) and decided to do that. I found out my bed can’t actually get to the 110 very well, takes about 40 minutes. It’s fine, I print exclusively in PLA. The other thing I found out is I have to change my fan, it used to come on after the first layer, which cooled the material and popped the print off. It was really frustrating until I discovered that was the problbem. I set it to turn on at 10mm and now my prints stick perfectly. They come off as soon as the print job is done with a little muscle, or if you wait until the bed cools down, they’re not even stuck. Literally slide right off. The surface has a nice finish too, much better than masking tape. Not quite as squished as glass, so you can still see the bead. It’s an excellent product all around. I live in the USA and paid 30$ for this bed and highly recommend it. Better than BuildTak (that stuff sticks too damn much and is a waste of money) and beter than painters tape. There’s nothing like that easy release and cleanup. Now I have no more headaches with printing and it’s enjoyable once again! I love my sheet of PrintBite. Maybe almost as much as I love printing. It changes everything! I am a bit impatient when it comes to prints finishing, and allowing the bed to cool entirely, but it’s worth it! The print will literally fall off after the bed has cooled, you could move it with one finger – even larger prints with a lot of material touching the heated bed. An added bonus: the texture from the heated bed side (that is in contact with the PrintBite) is very smooth. I will definitely be purchasing more once this one starts going out – it’s worth shipping it to the States. This is my 4th order of print bite, I’ve got two printers, One delta, and one H-bot and gave two other bites to two friends of mine who also have printers. This product does exactly what it says, it’s stiffer than what I had thought it would be and very durable. I’ve gone 30 prints in the same area before I had to even think about cleaning it. Just make sure you do follow the enclosed instructions and you won’t be sorry. Very easy to use and parts release with little or no work. The only time I’ve had to print a brim is on tall narrow prints just to simply give it stability if it’s top heavy. but other than that. Very nice. I agree with everything Marco says, I’ve now had the printbite surface fitted to my Malyan M150 printer for a few weeks. I’ve printed ABS, PLA and PETG. The surface works best for ABS, as said by Marco once cooled the part slides off the bed, no juice or other means of getting the part to stick. PLA needs a little more pulling off but nothing that will cause any damage. PETG is a little more difficult again but does come off. I think the key is not to print too close and I have now fitted auto bed leveling to allow me to be more specific with the minimum gap. Would I recommend, absolutely, I would not go back to glass, juice, glue and failed parts! At first i was a bit skeptical if this new Surface would help me print better but after cleaning it and heat-cycling it through as described in the instructions i was surprised how easy it was. Before PrintBite i used ABS Juice for ABS and normal blue Painters Tape for PLA. But that meant always switching back and forth between the surfaces. I ordered Printbite after i heard about it from the Youtube Channel Makers Muse and wanted to try it out. roughly 7 Days later the Package Arrived and i installed it on my Printer (ANET A6 DIY). I did a few Prints and was impressed. Its so much easier now. Since there is no Auto Bed Leveling yet for my printer i have to level it manually. Now the Workflow is just: 1. Level the Bed , 2. Clean the Surface with a Cloth and a litte Windex/Acetone (depends on what is on my workbench at the time) and then Start the Print. 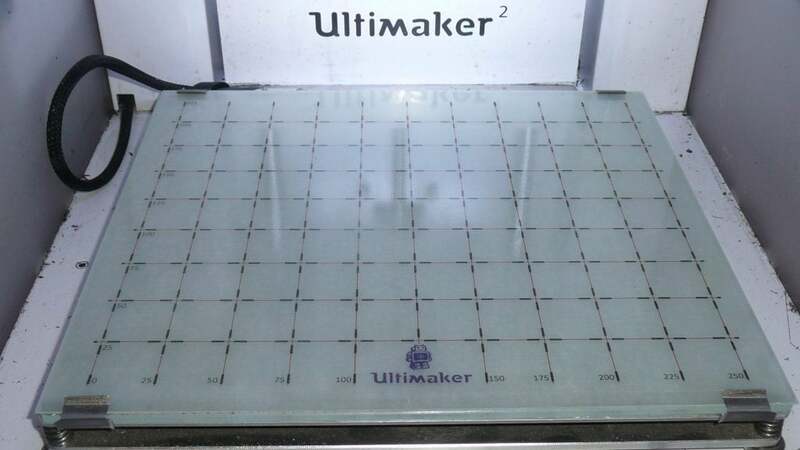 After the Print has finished and i waited for the Bed to cool down to Room temperature it makes a little cracking noise and the Part just lays on the Surface as if it was placed there and you can see that the Print has a Shiny Bottom, just like on Glass or Kapton Tape. Its just amazing. No Warping at all. The Product is just fantastic. I had to Cut it on the Edges so that i still have access to the Leveling Screws, but this was easily done with a pair of side Cutters. I have no Idea how long this will last, but if it does not stick anymore i will definitely order it again. Copyright By Mutley3D and Flex3Drive Ltd. All rights reserved.